OUR HISTORY. We are a family-owned business, opening our first facility in 1969. We have been proudly serving the community since 1980. In 2016, we completely renovated our facility and updated to the most modern, state-of-the-art equipment available in the car wash industry. OUR QUALITY. 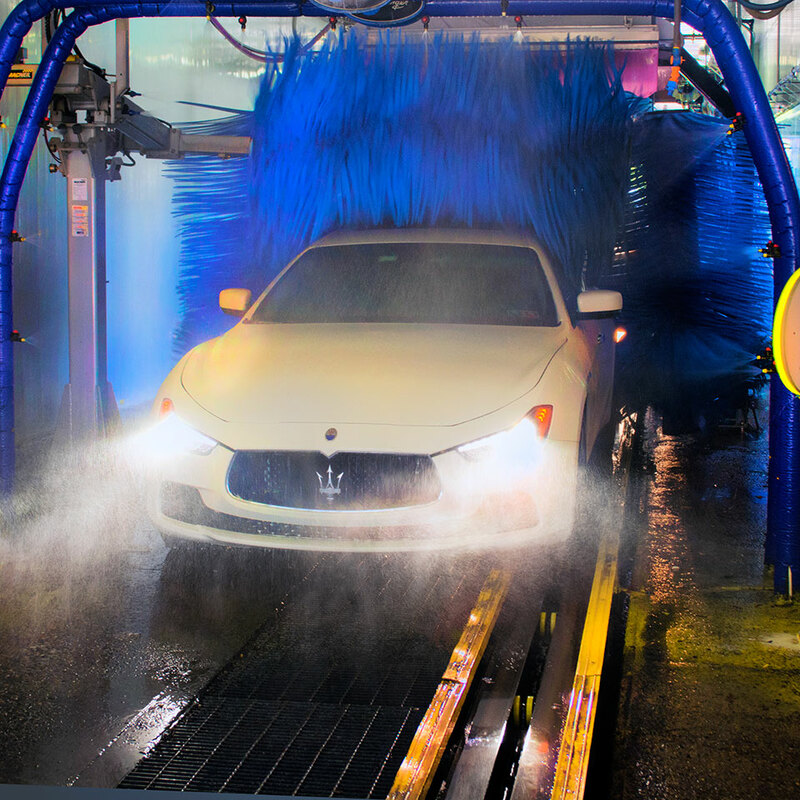 Our decades of success have come from our focus to provide a high quality car wash along with an exceptional customer experience using the latest technology, all while being safe on your car and easy on your wallet. Always respecting your busy schedule, we focus on getting you in and out as quickly as possible, without sacrificing quality, safety, or the overall customer experience. OUR RESPONSIBILITY. We care about the environment. We only use the highest quality professional products, from the top suppliers in the industry, to help restore your car to back to that new car showroom finish. We are proud to be one of only a handful of car wash facilities in the entire state of Pennsylvania to be certified “green” by Blue Coral, which makes the entire wash process safe and gentle to all of your car surfaces while being 100% environmentally friendly. Clean Machine offers the highest quality exterior and full service washes. Dedicated to providing an excellent experience, every time. Proudly serving our community since 1980. Want access to our best offers? Enter your email below. © 2019 Clean Machine Car Wash. All rights reserved.